Watch a video of Warren’s testimony here. “Hello, my name is Warren, and I'm a grateful believer in Jesus Christ. I'm an addict of 24 years. When I was an addict, I was selling a lot of drugs. In 2014, I was arrested, bailed out, went back out selling more drugs and was arrested a second time. I still didn't learn my lesson; the cops raided my house and I was arrested a third time. While I was in jail, I didn't turn to God, but when I went to court, the public defender asked me if I was willing to go to rehab and I knew at that moment that God had intervened in my life. It was September 10, 2014, that's my 'clean date' when I walked out of that jail and went to seek help. I went to a pastor who I know, and he told me about the Merced County Rescue Mission. I went to the Rescue Mission on a Saturday in March, it was the March Against Meth. So, I sat there in front of the Rescue Mission watching the marchers go by and I was scared, wondering what I should do. I knew I needed help, so I stayed. When the march was over, I went into the Rescue Mission and they had a bed available for me. After 30 days I was asked to leave because I got into an argument and a fight. So, I can't say I was kicked out because I did something wrong and was asked to leave. It was a Thursday when I left, and I knew I still wanted help, so I went to Celebrate Recovery then next night. I shared with the group that it was important to me to stay clean. After the group, I was asked to stay in a transitional living home, where I stayed for three months. While I was there, God drove me back to the Mission. During that three months, I volunteered at the Mission. The Rescue Mission asked me if I wanted to come back. I was in the middle of my court proceedings and was sentenced to complete the program at the Mission. I felt like the curriculum at the Mission was personal for me. It covered the good news of Jesus and we went through the book, Christian Adventure, so I got to see what being a Christian was going to be like. Then we covered the book, Experiencing God, where I learned what experiencing God is like, and how to experience God in my life. I'm not a reader, I never used to read, but I dedicated a lot of alone time and can honestly say, it's the first book I've ever read from beginning to end. In the third phase, I got to know my significance in Christ and really connect with Christ. Those are three phases in my life where structure was very important to me. That was another experience of God that I had, the Holy Spirit said, 'You know what? This is what you asked for.' And I remember being so desperate at the Rescue Mission, I would always pray and surrender myself to God and say, 'God, have a place for me. I want to be where you're at. Have a place for me.' I was desperate but sincere with God. And He had a place for me. Even though I didn't know how it was going to be, He had a place for me. Let me go back, when I was in the Rescue Mission program, I became a driver. Our Respite Care was new, and I would pick up our clients from the hospital and just the drive between the hospital to our Respite house I would connect with them and talk with them. The first thing I would ask is, 'How's your faith?' And by the end of the trip I would pray for them. I didn't have to, but I knew that I had to exercise giving of myself, communicating and connecting. And what do you know, God did have a place for me, I was asked to live and volunteer at our Respite Care house. He was there for me and He provided a place for me. While I was at Respite Care I really got to connect with our clients. I experienced a lot of homeless people coming into our program from the hospital for various reasons. They would be referred to our program from the hospital because sometimes the home they were living in had lots of mold, others had been living off the streets and were sick. We had a place for them, we got them to appointments, helped get documents they needed, and showed them the love of God. I began teaching morning classes where we would read a devotional and pray. We let them know this is a Christ centered place, that God provided a place for them to come and recover. At one point, i got into an accident and was hurt, so I left Hope Respite. However, a short time later I was offered a position at the Merced County Rescue Mission. I am from Hawaii where they believe in superstition. I never knew who Christ was as a child or into my adulthood, I didn't have a relationship with Christ. Through the Rescue Mission, I've learned what that relationship looks like. Christ has blessed me even more, now I am the Service Coordinator for our Hope to Men program. I'm not only a leader, but I am a servant. I am there to love, encourage, council, be their friend, their brother and to show them the love of God. I say to everyone we are family, all because of what God instilled in me. The Mission has done a lot for me and I want to encourage people to come and see what we're about and connect with us because we're able to help before it's too late. We are here to serve, here to love, and we want people to know that we are a place where they can come and receive services." Watch a video of Jesus' testimony here. “My name is Jesus. I’m 20 years old and I was born and raised in Merced. I’ve been here all my life. I got into some trouble with some old friends and I started doing drugs and it went all sideways from there. I started hanging out with the wrong people and it was going on and on. I had a car at that time, and I started drinking and driving. I ended up getting in a car crash, I crashed into a fence. That’s when I ended up going to jail. After that happened, the process of going to court, they were trying to put me in programs that I wasn’t old enough to go to. Then they introduced me to the Rescue Mission, I took the deal and they told me I would be able to do nine months there. That program has taught me a lot of things about life, about God, and how [faith] has changed people, it opened my eyes. I’ve been going to church ever since, Celebrate Recovery and other programs for us to have success in life. I learn something new every day. "I have witnessed Jesus develop as a person, and a father. It has been a wonderful experience and a pleasure getting to know Jesus and watch him grow in his faith, and recovery." Anthony came to the Mission in 2013. After graduating, he volunteered with us and for the past four years, Anthony has been employed with us as our Operations Manager. He has a BIG heart, he's always out in the community helping others, and he's the kind of person that will drop what he's doing to help you. We are so proud of him and grateful for all that he does for the Mission and our community. Thank you, Anthony, for sharing your story! Watch the video of Anthony’s testimony here. “Hello, my name is Anthony Choza, and I’m going to talk a little bit about my life before the Merced Rescue Mission. When I was young, I left my house at the age of 14 and I’ve never been home since. I thought I knew everything. I was locked up in Juvenile Hall for a long time and from there I graduated to Merced County Jail. Again, I was thinking I was ‘the man’ and that just got me into more trouble. I began doing County time and thought that was life itself, that I was put on this earth to be locked up. I didn’t know any different, I continued to be the bad guy. Once I reached prison, I went to a wrong crowd and began going into the gangs, but that didn’t work for me, I just got into more trouble. Then, I continued going in and out of prison. I heard of Merced Rescue Mission, I heard about it a lot. I even ate there one time, but my pride was telling me, ‘don’t go down there, don’t ask for help’. I was tired of the prison life, but I was a repeat offender, constantly in prison. I lost contact with all my family members and I just kept to myself. Once I gave-it-a-go at the Merced Rescue Mission, that saved my life. I thought that prison life was life itself, that’s all I knew. I didn’t know about doing good deeds for people and I had given up, but when I went to the Mission, they put me under their wings. At first, I’m going to tell you the truth, at first, I was just going to play the role just to get through it because I had 7 ½ years hanging over my head. I figured, I’m just going to play the part, get off probation, parole and just go my merry way. Once I got into it, I mean really into it, I hung up everything, I wanted to change my life and Merced Rescue Mission really showed me the way, showed me how my life should be. I was nervous about it, but once I took down the walls and really got into it, I told myself for the first time that this is what I want, I want this – to help people, talk to kids, and help other people that are having the problems that I had in my past. At first it was rocky, but as the years went by it was going smoothly, and through the Rescue Mission I changed my life and I am so happy that I am where I am now. I thank God for doing that, because I couldn’t have done it for myself and I thank God for that. Now I love what I do, I love helping the homeless, I love helping people that are coming into the program. I can relate to them because they’re young and they listen to me. At first, I didn’t know that I was a role model, but I guess I am. When I talk to people that are coming into the program, I talk to them openly and let them know if they have any type of problems to come talk to me – because I know the game, I know what’s happening, and they really listen to me. View a video of William’s testimony here. “My name is William. I was born and raised in Modesto, California. I graduated eighth grade, never been to a high school. I hit the streets young, dealing drugs, doing drugs, and stealing. At the age of 19 I was sentenced to 10 years in prison and served every day of that 10 years. I came out and I was a different person and I did every day of 10 years. Then I was in and out of prison for the next 10 years. I’ve done a total of 16 years and 10 months in prison. In 2014, I was back in the streets, back doing the same thing I know – robbing, stealing, cheating and I was strung out on heroine. I kept trying to get my dad to help me. He would bring me to his house, I would clean up for 5-10 days and as soon as I got a little bit healthy, BOOM I would take off back to the streets. The fifth time, he brought me into his garage and told me, ‘You know I’m going to help you one last time because you’re my son, but you’re going to do this.’ And I said, ‘Well, what is it?’ My dad continued, ‘Your stepbrother Marky is down in Merced Rescue Mission. He’s been there about 18 months, graduated, is working and still living in one of their Sober Living homes.’ I said, ‘Ok call them and let’s see what they say.’ The whole time I was hoping they were going to say no, because I didn’t really want to go. As it turns out, Tim told my dad to bring me down. I sat down with Tim and Anthony, I told them the whole story - I’m in the streets, I’m homeless, I’m strung out on heroine and I’m going to be sick if you even let me in. For some reason, they decided to let me in. The condition was I had to get my clothes out of the car and come in, right then. At the time I was just manipulating another system in my life. I thought I’ll just do this because I’m homeless, I’m doing bad and they’ll help me. Over time, I started changing. Anthony was rough on me, but in a good way. I’m thankful for him today because he’s been where I’ve been, and he knows all the little cons and ins and outs, so he was rough on me, but it was for the better. When I entered the Mission, I was out on bail for selling drugs and they wanted to give me another five years and eight months in prison or they would take me to trial and give me 18 years due to my prison history and my gang affiliation. I graduated from the Mission and went back to court with my lawyer and my certificate from the Rescue Mission, a letter from Pastor Bruce, and a letter from Tim. The judge dismissed the charges, and I got three years of probation in Merced County. Eight months later, my probation officer could see that I was doing well, working odd jobs, trying to do something with myself. He told me one day, ‘We got funding for this new project, the Phoenix Project, and what would you say if we paid to send you through school?’ You know what? I graduated from that school and am now employed by Foster Farms. As I said at the beginning of my story, it was by happenstance that I ended up at the Mission but thank God that I did because that’s where everything changed for me. I ended up here by the grace of God. If there are people out there that don’t want to come to the Mission because they don't like rules, I was that person. I was faking it to make it for a long time, but life has rules. If you want to change something in your life, you must change everything. In the program you’re going to get disciplined, get up early every morning, make your bed, do your chores, do your devotion, you’re going to do what’s asked of you. I’ve been sent out for Love Inc., picking up furniture and I used to hate that – Tim and Anthony knew I hated that, so they used to send me every day. I started to appreciate it. It starts to feel good helping people and giving back instead of being a taker. Today I’m a giver. I’ve been in and out of prison all my life, then I came here. I got right with the Lord, I went back to school, I put in the foot work and it paid off. You can’t look at all the failures from the program because those are people who didn’t try to put in the work. Look at the success stories, look at Anthony, look at David, look at Tim. We all came through here and we’re successful people today. "I was born May 18, 1997 in Sonora, CA. My father was 76 years old and my mom was 36 years old when I was born. I am the youngest of a total of 14 brothers and sisters. Growing up with my parents was far from what would be considered a normal lifestyle. I never lived in any one place longer than a few years. When I was six my family and I moved to Iowa to live with my brother. I was first introduced to cigarettes at 7 years old while living there. I just wanted to fit in. There was a lot of conflict in the family so my family moved to Nebraska when I was 8 years old. At that time my mom was addicted to crack cocaine and one day she decided to teach me how to smoke it. I smoked it with my mom for several months. Around that time was I was sexually assaulted the first time by two older males. I never told a soul about that. Partly from my pain and from not wanting to be judged. I tried marijuana at 9 years old. My mom went to rehab soon after and was kicked out on foul play. Seeing no other options, my family moved back to California when I was 10. When I was 11 years old I was sexually assaulted for the second and third time by two different males from the same apartments where I lived. Again, I never told a soul. My parents divorced when I was nearly 12 years old. I did not know why and I blamed myself for it all. In my mom's drug addiction she signed legal guardianship to my sister who was mentally, emotionally, and verbally abusive. My father moved in with my sister and I so he could be closer to his kids before he died. My dad passed away April 16, 2010. The pain from him dying was unbearable and I became extremely rebellious. I tried to move back with my mom but that ended up with me getting sent to juvenile hall for battery at 14 years old. The only person who was able to take me in was the same abusive sister. When I was 16 I tried cocaine for the first time and I liked it. I soon started to run away from home on the delusion that I could make it on my own as a kid with nothing to my name. My senior year in high school I ran away and dropped out. A few months later I returned and somehow managed to get back into school and get my diploma. All the while still a runaway. I moved to Sonora again and started attending Columbia College where I became addicted to LSD. My addiction made it to where I became chronically homeless. I dropped out of college and moved back to the valley to be homeless in the place I knew best. To try and make some quick cash I started breaking into houses and loved the rush of it. My sister that help raise me soon became a target. That was when I received two felonies and a strike. During this time I became addicted to meth and by the time I was 19 I started manufacturing my own LSD. It took me 18 months to check into probation. For many, the Mission is their last chance for getting back to stability. You made it possible for Lindsay to come to Merced County Rescue Mission and find help to overcome her addictions, and gain life skills and job training to get her life back on track. "My name is Lindsay Annis and I was born and raised in Merced, CA. My younger brother, Ronnie, and I were raised by our mother Shelly. I had a good childhood, I have fond memories of riding bikes and swimming in ponds with my brother. Almost every weekend we would go to Rollerland. After completing high school, I started my first job as a certified phlebotomist and was exposed to Vicodin shortly after. My addiction at that point started growing and became an entity of its own - controlling my life and placing me on a path that was not my own. My addiction went on for years and I experimented with other substances. I went in and out of jail, spiraling out of control. In the summer of 2014, I went to House of Grace in San Jose, CA and by April of the following year, I gave my life to Jesus Christ. In the fall of 2017, I relapsed on meth and about 5 months later I was completely broken, lost and destroyed. Merced County Rescue Mission gave me HOPE. Since going through their Hope for Women program I have found my spark! I am blessed to say that I am clean! I have my children back in my life and am mending relationships with family members. I am living proof of God's grace, mercy and love! Thank you, Merced County Rescue Mission, for giving me the flicker I needed to reignite my flame to live the life God called me to." "It has been wonderful to see Lindsay's progress and recovery. She has been a great volunteer in the office and is now assisting in our women's Sober Living home. She brings a spirit of joy to those around her!" "My name is Melissa and I am 37 years old. I grew up in South Carolina and Georgia. My parents divorced when I was eight years old and my dad lost his parental rights to myself, my younger sister and my older brother due to his struggle with drug addiction. My mom remarried and my siblings and I were adopted by my stepdad. He was very abusive both mentally and physically to me and my siblings. At the age of 15 I began running away and had my first drink of alcohol. This was the only way I could find to cope with my home life. All my cries for help seemed to always fall on deaf ears. When I was 18, I left Georgia to go on the road and sell magazines door to door. About a year later, I quit my job and decided to settle in California where I met my husband and father of my four children. Throughout all of this, I continued to drink and was also introduced to meth and pain killers. I just thought, 'I am an addict and for whatever reason this is just my unfortunate lot in life.' I wanted so badly to be clean but had no idea how to overcome my addictions. To make matters worse, my older brother passed away when I was 34 which drove me deeper into my addictions. My life continued to spiral more and more out of control every year that went by. I was using all day, every day and still trying to play the role of house wife and mom. In so many ways, it was just not working. Thankfully and although my home life as a child was far from normal, my parents still took us to church, so I was at least blessed enough to be aware of God's existence. In the midst of my addiction and life being in shambles I began to cry out to Him wanting so badly to be 'normal' and for these addictions not to take my life. Finally, in June 2017, God answered my prayers. I was referred by a program that was full to the Merced County Rescue Mission's Hope for Women program. When I heard that the Rescue Mission was faith based, I knew that being referred to and accepted into the program was a 'God send'. This program has been my saving grace. God's presence and anointing on this Mission is undeniable. I have tried for the past 21 years to get clean and this has been the only program that has actually worked for me. The staff's compassion, love and devotion to their participants has helped to restore my faith in God and in men and women who so selflessly give their lives to help others in need. Since coming to the Mission I have developed something that was lacking in my life and that's the HOPE we have in Christ. I now feel like I have a life-long family, friends and unshakable relationship with God that can withstand any trials life may bring." Melissa is scheduled to complete our Hope for Women program this month (June 2018). We are truly excited that she will be returning to live with her husband and four children. Melissa has been a blessing to the people around her and has cheerfully helped us in the office. We know that as she stays in a close relationship with God she will continue to be a blessing to many people. "My name is Cheryl and I'm 47 years old. I was born in Merced and grew up in Merced. My parents were hard working and made sure that we had a comfortable life with everything we wanted and needed. We were loved, cared for and always encouraged to get an education so that we would not have to struggle. After the passing of both of my parents, I continued to fulfill my parents wishes of obtaining an education, graduating from Stanislaus State with a Bachelor's degree in Behavioral Psychology. During this time, I became pregnant with my daughter. I was a single mother with a great career and life. This was until the stress of single parenting, work and life became more difficult to deal with. I began to be stressed all the time and found that having a glass of wine in the evenings would relax me. As time went on, so did my drinking. What started with only a glass occasionally, went to having a glass every evening and then an entire bottle. This is when the world I had worked so hard to build began to crumble. After a period of continuous drinking, my family came to me and told me how they were missing the mother and sister I once was. It was at that time that they asked me to seek help so I joined the Merced County Rescue Mission to begin my journey back to sobriety. The Merced County Rescue Mission has given me my life back and most importantly, my relationship with my daughter! MCRM has helped me to love myself again through the classes we attend, the new family I have made and my rediscovery of my faith in God!" "Before I came to this program, I was in Florida. I lost everything I owned. I lost my place to live, I was alone and scared to death. I hit rock bottom, I was so tired of fighting to survive that I decided to kill myself, but God had other plans for me. I was in the hospital for a week, and then to a shelter. My brother bought me a bus ticket home, to Merced County. I stayed at my mom's and she told me about the Merced County Rescue Mission's Hope for Women program. It sounded like something worth going to, and I don't regret it. The wonderful teachers there taught me just how much Jesus loves me and cares for me, and that I am important! That when I do things that are not in line with the word of God, I hurt him (God). That woke me up! I have finished the program and now I'm a Resident Assistant at the house, I got a job and do volunteer work when I can. I hope to get my own apartment here in Merced. This place gave me my self-worth back, and that means a lot to me. I continue to learn about Jesus and His great love." "My name is Dan. I started to use drugs and alcohol at the age of 15. I was described as one of those, "long-haired hippies". I was young and thought, 'I'm just having fun as a teenager.' After a few years I became an adult, and the 'fun' turned into an 'addiction', getting arrested, going to jail, and eventually state prison. I've been to a number of drug rehab programs. I've also gone to college, studying about addictions to become a counselor. I have overcome a lot of personal issues and over the years have been able to find a balance in my life. I have been involved with the Merced County Rescue Mission since 2013 when I completed the Men's New Life Transformation program. I now volunteer a lot of time in helping with the functioning of the Merced County Rescue Mission. I serve as a driver, picking up and delivering donations. I am also a Resident Volunteer for one of the Transition to Hope, sober living homes for the Mission. I am very GRATEFUL and THANKFUL to be a part of the Merced County Rescue Mission." Fernando & Sozana want to say "thank you" for your support! We hope you know that really, this has nothing to do with money. It has everything to do with changing the lives of our neighbors in need, and that's where friends of the Mission, like you, come in. Read their story and see how lives are transforming! "On March 14, 2017 our son, Fernando Jr. was brought into the world. This was both the best day and the worst day of our lives. The best day, because Fernando now had a son. The worst day because we were homeless and would not be able to bring Fernando Jr. home." After carrying her child for 9 months, Sozana was heartbroken that she could not bring her son home. Sozana tested positive for using meth and Fernando tested positive for using heroin. Their newborn son would be taken from them. This news broke them, but instead of tetting their lives together and making good decisions, their lives spiraled out of control. They continued to use drugs even more to hid the pain of losing their son, but they failed to think of how they were also hurting their son. There finally came a point in their addiction when they thought that they could do what CPS (Child Protective Services) had asked them to do AND continuing to use drugs. They discovered how wrong they were as their tests came back "dirty". They tried methods to falsify the tests, but their attempts didn't work. They were given 6 months to complete all the CPS classes. In October of 2017 they reached out to the Merced County Rescue Mission. Fernando entered the Hope for Men Program and Sozana entered the Hope for Women Program. Sozana says this was one of the BEST THINGS that ever happened to them. For herself, Sozana says, "I came out finding that there is more to life than using drugs, and the courses taught me how to walk with the Lord and to ask forgiveness from all the people I have hurt on my road to destruction. Through the classes I have attended, I have found the kind of mother I need to be for my son." 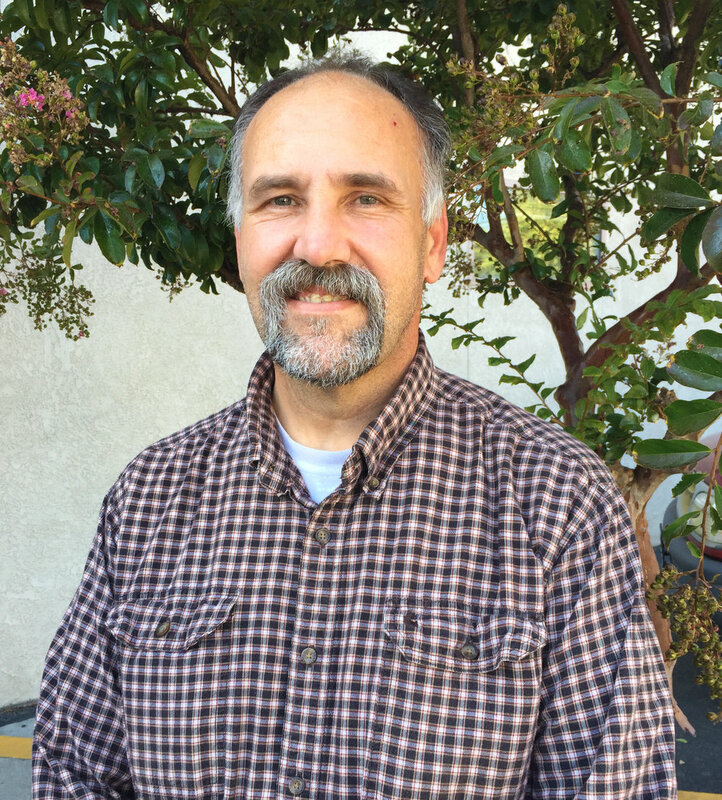 Fernando says, "I owe a lot to the Merced County Rescue Mission for taking me in and giving me a place to call home and giving me the tools I need to get my life back on track so that I can be the providing father my son deserves to have." Fernando now speaks of his life with Sozana as one in which they are not alone, but are walking together in faith. As they have experienced God in their lives, they have found that CPS has extended the hours they are able to spend with their son. They now both have jobs at Foster Farms and with help have their own apartment! With help from the MCRM they have made their new home "baby ready". They have passed the CPS inspections. Sozana exclaims, "It has been worth all that we have been through to have our son with us, no words can describe the feeling we have of joy!" One more inspection and they will get their son for the whole month of February on a trial basis. Sozana goes on to say, "God willing, come March, we will be given our son back for good. We have worked hard to get to this point, but without God and help from the Merced County Rescue Mission we would not be in this place today. We love YOU and the programs that have helped us become the people we are today. THANK YOU and God bless." Fernando and Sozana are now engaged and look forward to being a family. -Fernando, Sozana, & Fernando Jr.
"I grew up in a very religious family and I always knew that God loved me. Growing up I always had a belief in the Lord, that is how I was raised. As a child I moved from Wyoming to England, Germany, back to England, and Sacramento. When I was about 10, my mom got cancer in her kidney, it was removed, and she seemed OK. After a while the doctor realized it had spread to her lung and liver. My mom decided she would rather die in peace than go through chemo again. At that age, I didn't know what to do other than try to comfort my mom. I was with my mom every day, reading to her. While at a celebration for my 6th grade graduation, I got a call about my mom. By the time I showed up she was being taken out on a gurney and on her way to the morgue, and that was the last time I saw my mom. That is when I started going downhill. At age 22, my best friend Daniel killed himself. I felt it was my fault. I am the one who told him I was moving, and he was on his own. When I got the call that he had killed himself, it was too much for me. I kept doing my own thing, living how I thought I should live. I was lost and did not think God cared about me at all. I moved back to my hometown and my gradual drinking turned into having seizures. I drank so much that if I didn't drink in the morning I would go into shock. I ended up homeless for two years until, luckily, I got arrested. My brother knew the court and I was ordered to the Merced County Rescue Mission. At first, I was just happy to be out of jail, after a while I understood God put me there for a reason. I came to understand that God had a purpose for me, and that I had to turn my life over to him. I learned to look for the doors he opened for me, that led me to my beautiful wife, Jennifer, and daughter, Genevieve. I worked my way up to Director or Program and Operations and I feel blessed to have helped so many others going through the programs at the Mission. I know I am not perfect, but the Mission helped me realize that there is nothing I can do without God. God is the one who opened the doors to where I am in life. God will lead you to where you need to be, you just must be willing to walk through the door." "My name is Jess, I'm 57 years old and was born in San Jose, CA where I grew up. My parents were hard working and made sure we had food and clothes. They were strict because they loved us and wanted the best for us. As I was growing up, I always felt lonely and alone, as though something was missing in my life. We went to church every Sunday and I knew there was a God but didn't pay much attention to him. At 12 years old I started to drink and cut classes - I was doing what I wanted to do. As the years went on, I also began doing drugs. I started feeling more alone. At 16 years old, I had a son. I dropped out of high school to get a job. All together I had four kids, and the more money I made, the more drugs I bought. I didn't care about anyone or who I was hurting. I only cared about drugs and alcohol. My family didn't want me around because I was always high. I had been in a Christian recovery home before in San Jose, but I still felt that loneliness and emptiness deep down - so I ran from God and was obedient to the devil again. As years went on, my drug habit got worse, my health too. In 2016 I lost both my parents to cancer and my youngest daughter. I felt more alone and I didn't want to be in this world anymore. I tried to kill myself by swallowing crystal meth and nitroglycerin pills. After 40 years of doing drugs and being obedient to the devil, I had had enough! My niece contacted the Merced County Rescue Mission, they interviewed me and I was accepted. I am now four months clean, no longer depressed and no longer lonely, and my health has improved. By the grace of God I'm still alive and happier than ever. No more suicidal thoughts. I'm not only learning the Bible, but I'm getting to know God and loving my God, my Savior, all thanks to the Merced County Rescue Mission's New Life Transformation program. My life has just begun!" "I was lost and stuck in the lowest point of my life. Whether I was drinking or not, my alcoholism was out of control, and in that dark place I had attempted to commit suicide. Fortunately I was rescued and taken to a place where I received help. My social worker talked to me about Hope Medical Respite Care, which was part of the Merced County Rescue Mission and said this would be a great place for me to go, especially since I was still recovering from a total knee replacement a month prior. I became a participant at the Hope Medical Respite Care and immediately felt welcome and safe. I was treated with respect and compassion through the duration of my stay. While there, I learned about the Hope for Men, New Life Transformation Program, and I knew immediately that Jesus was calling me to continue my walk and recovery with the Merced County Rescue Mission. Today I'm a disciple and peer navigator for the Merced County Rescue Mission in the Hope for Men program. I once again have joy in my life and have the opportunity to reach out, serve and love those in need in the name of Christ.